For all of your Trailer Work, Shawn's Auto Repair and Performance in Richland Center, WI 53581 knows how to fix the problem. Our knowledgeable experts will have you back on the road in no time. Leave the dirty work to us! To keep your goods safe, make sure your truck's doors are strong and working properly. At Shawn's Auto Repair and Performance, we understand the urgent need to get your trucks and trailers back on the road when a door is damaged or working improperly. We will fit your trucks with specialty roll up doors for the truck and trailer. 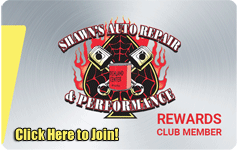 Give us a call or visit our auto shop in Richland Center, WI 53581 today.